The suspect's divorce involved fights over money and child-custody issues. 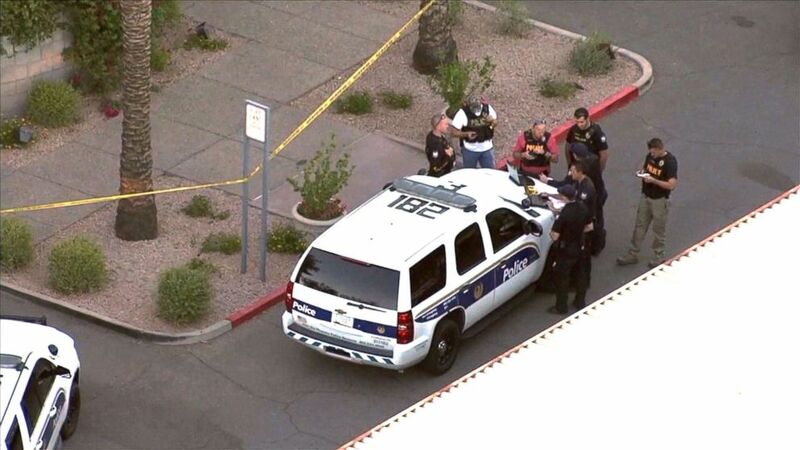 A man is now linked to the killings of six people over several days in Arizona, police said Monday, and it appears the victims were connected to the suspect's divorce. Dwight Lamon Jones, 56, died early Monday at an Extended Stay America hotel after a police standoff, officials said. Jones, who allegedly fired at officers, was gassed, and a robot was sent inside, where he later was found dead from a self-inflicted gunshot wound, police said. These actions "reflect the worst of humanity," Maricopa County Sheriff Paul Penzone told reporters Monday. The fifth and six killings, which authorities announced Monday, took place hours before the suspect's death. 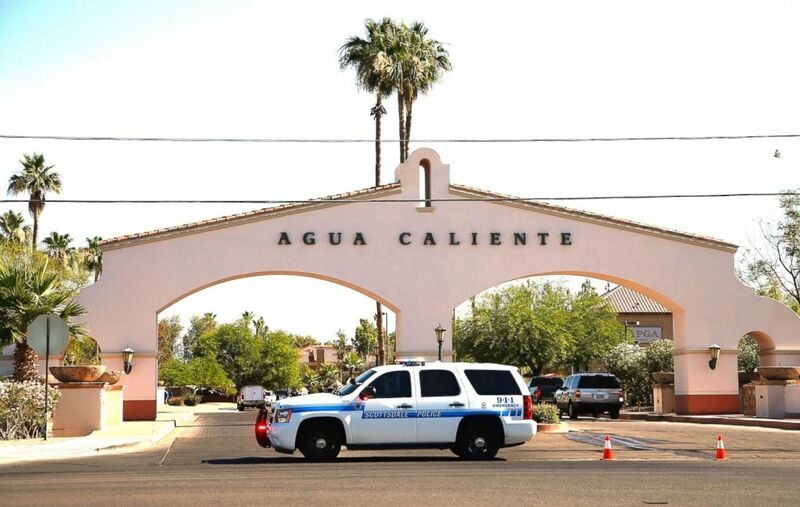 (Ross D. Franklin/AP) Local police block off and surround a local hotel where a suspect wanted in four killings was staying in Scottsdale, Ariz., June 4, 2018. 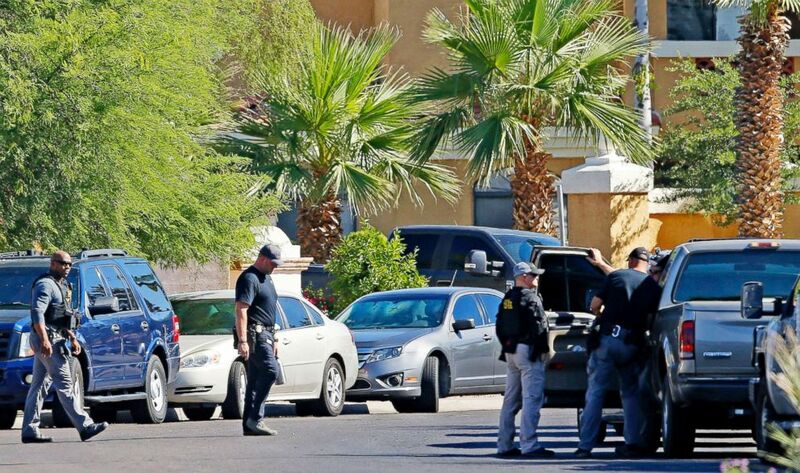 (Ross D. Franklin/AP) Police surround a hotel where a suspect wanted in multiple killings was staying in Scottsdale, Ariz.on June 4, 2018. Jones' 2011 divorce with his wife involved fights over money and child-custody issues, and Jones was mandated to have psychiatric evaluation therapy, records showed. One of the people ordered to evaluate Jones was well-known psychologist Dr. Steven Pitt, who is also believed to be the first murder victim connected to Jones, officials said. Pitt, who consulted with law enforcement on a handful of prominent cases, including the JonBenet Ramsey murder and the Jodi Arias trial, was shot and killed outside his Phoenix office on Thursday night. An eyewitness said he heard Pitt loudly arguing with someone followed by gunshots, according to police. 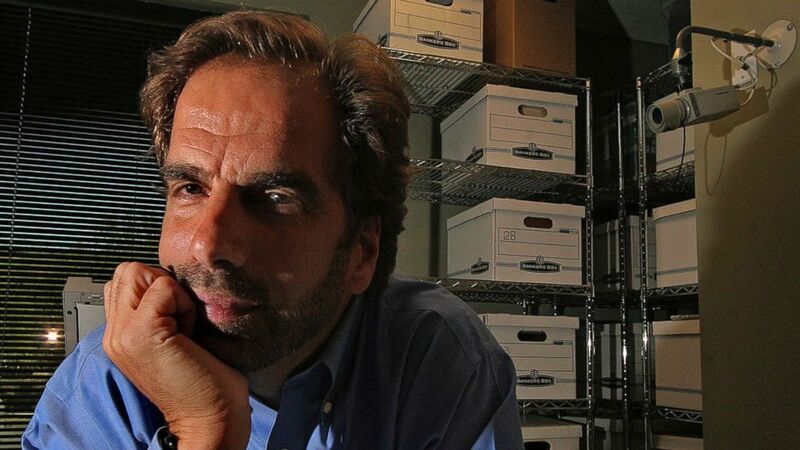 (Julio Jimenez/East Valley Tribune via AP, File) In this Friday, June 29, 2007, file photo, Dr. Steven Pitt poses in Scottsdale, Ariz.
Jones' next two alleged victims were paralegals at the law firm Burt Feldman Grenier. A partner at that law office, Elizabeth Feldman, represented Jones' wife, Dr. Connie Jones, in their divorce, according to records. Jones went to that law firm with the "intent of killing" Feldman, police said. The paralegals, Veleria Sharp, 48, and Laura Anderson, 49, were shot Friday afternoon. Sharp was spotted running away from the scene, and later she collapsed and died, police said. Anderson was found with a gunshot wound to her chest and later pronounced dead, police said. 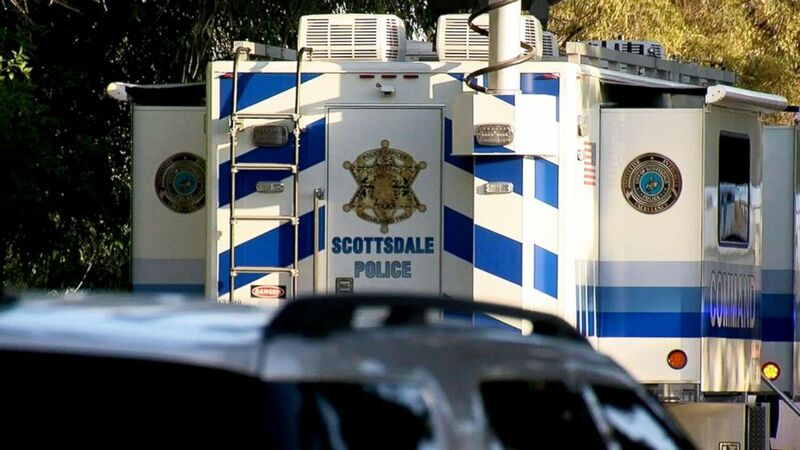 (ABC News) Law enforcement officers investigate a crime scene in Scottsdale, Ariz.
(ABC News) Law enforcement investigate a crime scene in Scottsdale, Ariz. The fourth victim, life coach Marshall Levine, was shot twice and killed just after midnight Saturday at his Scottsdale office, police said. Dwight Jones' son, as part of the divorce, was ordered to see a psychiatrist who works in the same office space as Levine, police said. Levine did not appear to be an intended target and was in the wrong place at the wrong time, officials said. 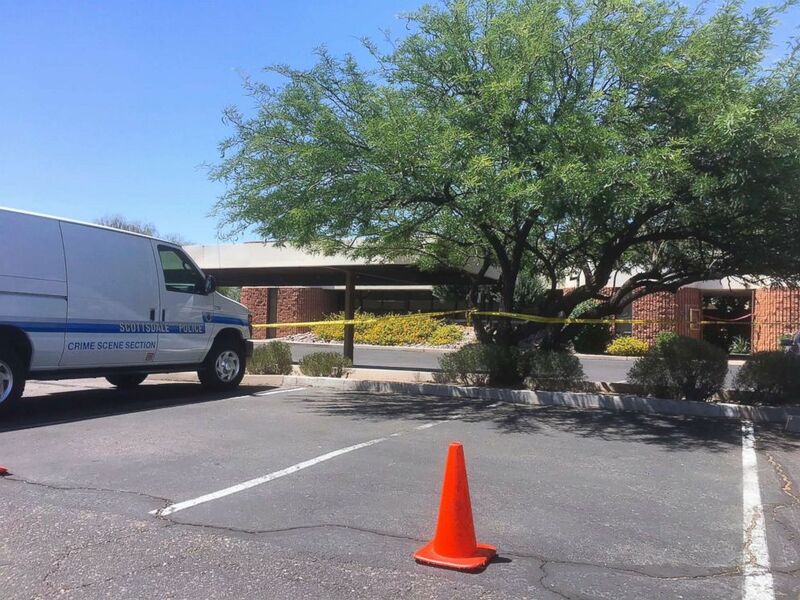 (Paul Davenport/AP) A Scottsdale police vehicle and crime scene tape is seen outside the Scottsdale, Ariz., building where a man was found shot to death on June 2, 2018. Pitt, Sharp, Anderson and Levine were killed with the same gun, police said, and Dwight Jones' DNA was found on a shell casing from that weapon. The DNA connection was made by testing his relatives in northern Arizona, police said. "We really wanted that definitive proof and it was his DNA on those shell casings that took us through all those scenes -- we had that proof he was our suspect," police said. 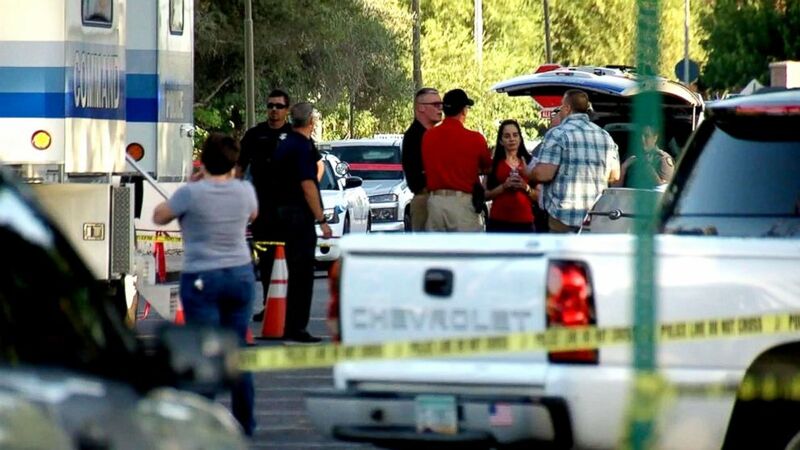 The fifth and sixth victims, a man and a woman, were killed just after midnight on Monday in Fountain Hills, Arizona, hours before the suspect died, officials said. It has not yet been determined if the bullets from the final crime scene are connected to the earlier scenes. ABC News' Marci Gonzalez, Frank Elaridi and Mark Osborne contributed to this report.